So managed to pin another really bright guy down today and get his thoughts. Of course we digress some, but I think in all the topics that are truly important to sepsis resuscitation. getting a global assessment of the patient’s perfusion – including things such as CRT is important. a strategy that seeks to exterminate fluid responsiveness is non-sensical and pathological. The nice thing for our southern neighbours is that this study may give you a solid excuse to shake off that lactate mandate. And I think that Korbin’s ending remarks are important, and it is something I try to teach residents, that there is little value in rapidly normalizing hemodynamic values – which treats the medical team very well – if there is an aftermath that is not beneficial for the patient. Kathryn Maitland’s FEAST study is the real groundbreaker for that concept. 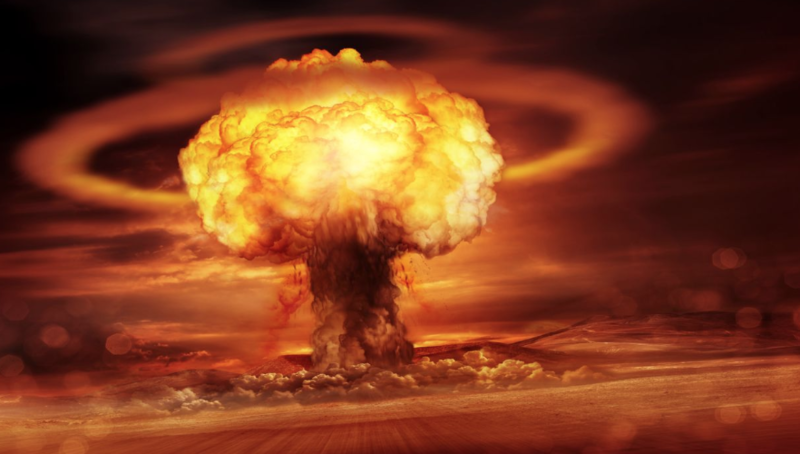 So probably a coordinated and careful ground assault is better than dropping the nuke. First, much thanks to Scott Weingart whose technical pointers are improving my audio quality! Still a ways to go but on the path! Second, if you’re not registered for H&R2019, there’s only about 20 spots left. And only a handful for the much-anticipated Resuscitative TEE course. Don’t miss out. If you enjoy these discussions, there will be plenty of that, especially in the protected meet-the-faculty times. And finally, though he doesn’t yet have a blog, you can now follow Korbin on twitter @khaycock2! It is a really cool study for anyone who loves physiology, which I definitely do, and there may be some interesting elements that can be clinically used. On the other hand, that would be of marginal use clinically, in all likelihood. 1. Does my patient need fluid? 2. Is my patient volume tolerant? 3. Is my patient volume responsive? The answer to the first question is mysterious, outside of the obvious extremes, and in my opinion, anyone who feels they can clearly answer correctly is deluding themselves. The answer to the second question is complex and multi-factorial and includes echographic findings (venous congestion/hypertension, B lines, effusions, ascites) as well as physical examination findings (tight abdomen, edema) and clinical findings (respiratory failure, intracranial pathology) and more. But this is a critical one, because if the answer is no, then you need some really compelling evidence to even consider trying to answer the third question. The answer to the third question is, outside of the extremes, a bit of a quagmire of assessments and technology with generally poor evidence, particularly in terms of duration of effect. The most fearsome aspect of this third question is that it is usually the first question asked instead of the last, and thus has the side effect of creating volume-responsiveness terminators who, 500cc shot after 500cc shot end up satisfied that they have blasted responsiveness into oblivion. But that’s probably bad news for the patient, that they have now pushed into venous congestion or salt-water drowning. Unless, of course, they just look for volume-responsiveness in the same way that bird-watchers do, for the sake of scientific satisfaction, and do no more than look, or maybe snap a picture at most. (2) that the compliance is linear (nope, I don’t buy that, especially not in sick patients on vasopressors – as opposed to the normal cardiopulmonary and hemodynamic patients this study was done on). Essentially, what should be under fire is the obsession with a measurable variable to assess intravascular volume. Too many factors in play, and the answer is useless clinically anyway. On the other hand, this study is fascinating in terms of what might be done using dynamic Parm… Maybe individualizing pressor response, unstressed volume recruit-ability? I’ll let @iceman_ex tell us about that at H&R2019! So what is important is stop points. And reverse points. And yes, these can be looked at using POCUS, and also CVP, and CVP tracings. And yes, there is good data that venous hypertension is a bad state. And this is what you should be looking at, to make sure you have not pushed your patient into a universally pathological state of non-volume-responsiveness. Hi Philippe, I just had to read the article after your blog. Most is a bit above my head (yeah right Kylie)– but I am perplexed by three things that I did understand -perhaps you can help me with…. 1. Is P(arm) a useful measure? – it went up in 19 patients and down in 8 patients after a 500ml bolus yet they claim it went up (after statistical repeated measures or something)..if P(arm) is confounded by something else – I think they suggest sympathetic tone – shouldn’t we sort that before we start using P(arm) as a reference test. I don’t think we can consider it to be a reference at all. I think it is an interesting physiological measure and that it might have some application in phenotyping vascular tone/compliance and possibly helping in vasopressor fine tuning. In my opinion for fluids it adds little to what we have. 2. What do you think of their IVC measure – 0.5cm below junction with RA? As I do for all IVC diameter measures, I think it is inherently mathematically flawed to try to assess a volume using a diameter. Eyeball the whole IVC. A recent study finally looked at this. 3D IVC assessment and (of course) found it better. 3. What do you think of the fact that E changed, but e prime and E/e prime didn’t….That seems like there may not be enough precision in some of those measurements. Q4: Is my patient leaking? So sparked by some recent twitter discussions where we were talking about ARDS in a somewhat controversial fashion, I thought it may be worth expanding a bit on the topic. Essentially my stand is that ARDS is largely an iatrogenic disease mediated by (1) overeager fluid resuscitation of various disease states that fundamentally do not require large amounts of fluids despite commonly held beliefs (sepsis, pancreatitis, etc…) and (2) the absence of frequently used “stop points” of fluid resuscitation with instead a misguided focus on detecting (and intervening upon) volume responsiveness. In our ICU, true “ARDS” (eg not generated by salt water drowning) is a rarity. Maybe one or two a year, usually a massive primary pulmonary insult. Ognjen Gajic refers to this article in our discussion. So it seems clear that there is much to discuss. We didn’t even really get into the juice of the stop points. Stay tuned! oh yes… so if these controversial, cutting- and bleeding-edge topics, don’t neglect joining us at H&R2019. Segun and many others will be there! In Greek mythology, Prometheus (/prəˈmiːθiːəs/; Greek: Προμηθεύς, pronounced [promɛːtʰeús], meaning “forethought”) is a Titan, culture hero, and trickster figure who is credited with the creation of man from clay, and who defies the gods by stealing fire and giving it to humanity, an act that enabled progress and civilization. Prometheus is known for his intelligence and as a champion of mankind. i agree with ultrasound for finding the uncommon causes of shock. these examples seems to permeate twitter and make ultrasound very appealing. because ultrasound is non-invasive, it makes the risk-to-benefit ratio very low for these uncommon but highly-lethal and treatable causes. i will take some mild issue with markers of volume responsiveness and tolerance. you are correct on both fronts – but what the data for the IVC reveals – perhaps paradoxically – is that true fluid responders can have a very wide-range of IVC sizes from small to large and unvarying … this was born out in most of the spontaneously breathing IVC papers [airpetian and more recent corl paper] the sensitivity was rather poor. the same *could* be true for the opposite side of the coin. a large great vein may not mean a volume intolerant patient. i tried to exemplify how that could be so in the illustrative case in my post. an elderly man, with probable pulmonary hypertension and chronic TR who probably “lives” at high right-sided pressures. nevertheless, he likely has recurrent C. diff and is presenting 1. hypovolemic and 2. fluid responsive despite his high right-sided pressures. portal vein pulsatility *could* be quite high in this patient – but he still needed some volume. the obvious underlying issue here – which I know you are well attuned to – is that a Bayesian approach is imperative. when you PoCUS your patients, you are inherently taking this into consideration – i know that you are a sophisticated sonographer. my hidden thesis of the post is that if ultrasound findings are followed in a clinical vacuum and followed without really understanding the physiology [which can explain clinico-sonographic dissociation – like the patient in my fictitious case]… disappointment awaits. 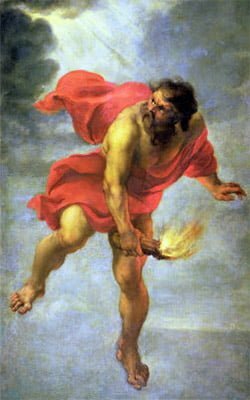 I think the issue of POCUS in resuscitation is somewhat analogous to Prometheus’s gift of fire to humanity. Jon has quite aptly pointed out that if POCUS (particularly a single POCUS supplied data point such as IVC diameter), if used in isolation, without clinical context, and without comprehensive information, is not much better than using a single data point such as CVP to make complex clinical decisions. Multiple factors influence the behavior of the IVC, just as they do with the CVP. Being a dynamic entity, the IVC does have some advantages over a static number like the CVP. However, if considered by itself, the IVC POCUS evaluation will only result in the same pitfalls as using the CVP as a guide to fluid management. If POCUS is applied in such a blunt manner, we are doomed to repeat our previous folly of using the CVP as a guide to fluid resuscitation. I hope I am in the ball park of the core of Jon’s point here, if not as very eloquently stated by him. Phil is advocating a more nuanced and sophisticated approach to POCUS than what the SHOC-ED trial investigators used to guide management in their study. Most shocked patients presenting to the ED (“Emerge!”) come with a phenotype of distributive shock. Indeed, these were the majority of the patients in the SHOC-ED trial. Any experienced clinician will recognize this syndrome virtually every time, with no more than an “eyeball and Gestalt” assessment from across the room and a set of vital signs. Current dogma is that this syndrome ought to be treated with 30 cc/kg of crystalloids and then to add a vasopressor if the patient’s blood pressure is still low. Given this, there couldn’t have been much difference as to how patients were managed in either group in this study. I however, disagree with this aggressive crystalloid administration approach, as I’m sure many readers of Phil’s blog do as well. 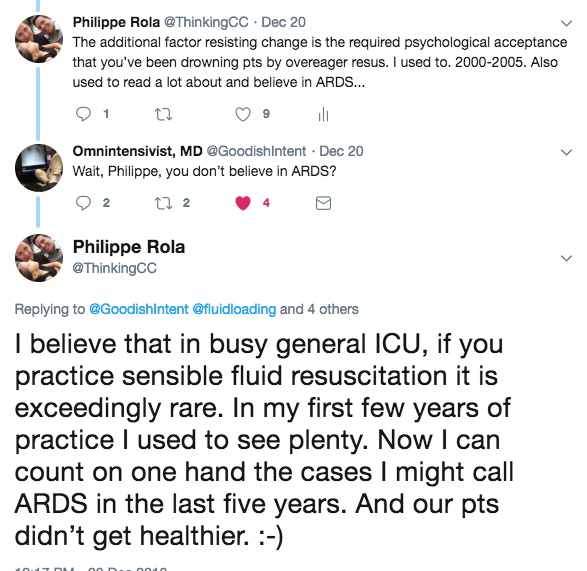 What I gather Phil is saying here is, as he insightfully stated in the past, “IVC never lies, it’s just not telling you the whole story.” A complete POCUS gives us (OK, well almost) the whole story. The caveat here is you must know a whole lot about POCUS. Thus the Prometheus analogy. A little information is a child playing with fire. Someone new to POCUS, with only a novice’s understanding of what an IVC POCUS evaluation means, will probably make the correct assessment of a patient’s fluid status about 60-70% of the time. This probably is only slightly better than an experienced clinician’s non-POCUS judgement. Hardly enough to translate into any meaningful clinical outcome in a trial without a ridiculously large sample size to find a pretty small benefit. But POCUS potentially offers so much more information. LV and RV systolic function, LV and RV diastolic function, SV, CO, SVR, PVR, RAP/CVP, sPAP/mPAP/dPAP, LVEDP/LAP/PAOP, valvular pathology, tamponade, fluid responsiveness (for what ever that’s worth! ), RV/LV interactions (both in series and in parallel), EVLW, insight into pulmonary vascular permeability, renal resistive index/renal venous congestion, portal hypertension/congestion, gut flow resistance, and on and on. Most of this information can be more or less determined in less time that it takes to put in a central line in order to get the damned CVP (actually, I do like to know what my CVP is, for what it’s worth). The more data points you are able to collect with increased POCUS skills and experience, the more grasp you have as to what is going on with your patient and the right way to treat them. I would argue that given the information attainable with advanced POCUS skills, POCUS is a no-brainer that will enormously improve not only individual patient outcomes, but effect populations at large, if only the general hospital based practitioner can attain a more than introductory understanding of POCUS. So, I guess the question is, “how much training is enough training?” I don’t know. Inevitably, POCUS knowledge will incur a bit of the Dunning-Kruger effect as pointed out by Jon’s example of an IVC POCUS fail. But reading Jon’s clinical case example, from the get go, I found myself asking questions that would change may management one way or another with additional information that I could get quickly and easily with additional POCUS interrogation of the patient. Jon pointed this out himself by revealing that the patient has pulmonary hypertension as manifested by the tricuspid regurgitation upon auscultation of the heart. With POCUS, I don’t need to guess what a heart murmur is or how bad it is or even if it is relevant to my patient in this case for that matter. POCUS can tell me it’s TR and it tells me what the sPAP/mPAP/dPAP and PVR is if I care to find out. So if this level of information can be gleaned, for me, no one can argue that POCUS has no merit. But, I’ve spent a lot of time striving to be good at this, just as probably a lot of people reading this have done as well. What about newbies? Consider: At my main hospital, for a variety of sensible reasons I won’t get into, we decided to train a group of nurses in POCUS in order to evaluate septic patients. They achieve basic training in POCUS and are very competent sonographers with regard to IVC, gross LV and RV function, and pulmonary edema. They are a small group of very intelligent, skillful nurses that are excited to learn all they can. We had them evaluate every septic patient that presented to our hospital, do a POCUS exam, and discuss the findings with a physician. We established some very basic resuscitation endpoints largely based on POCUS findings applied to each individual patient and their POCUS exam. Our severe sepsis/septic shock mortality rates dropped from 35-38% to 8-10% with this program. Our hospital plans to publish this data officially soon for public analysis, but it did make a difference in our experience. That said, my nurses do frequently show me cases where I notice some small detail on their POCUS exam that propmts an additional investigation that alters the plan in management. Also, some of my very competent POCUS savvy residents make errors because they don’t have enough knowledge yet. I’m sure I can make these errors too at times as well, although hopefully less and less so with time. -the flotation PAC is introduced, a small group of clinical physiologists use it thoughtfully, understand the caveats, the problems of data acquisition, interpretation, implementation, the problems with heart-lung interactions, intra-thoracic pressure, etc. -the PAC is studied based on the above and found to make no difference in patient outcome. 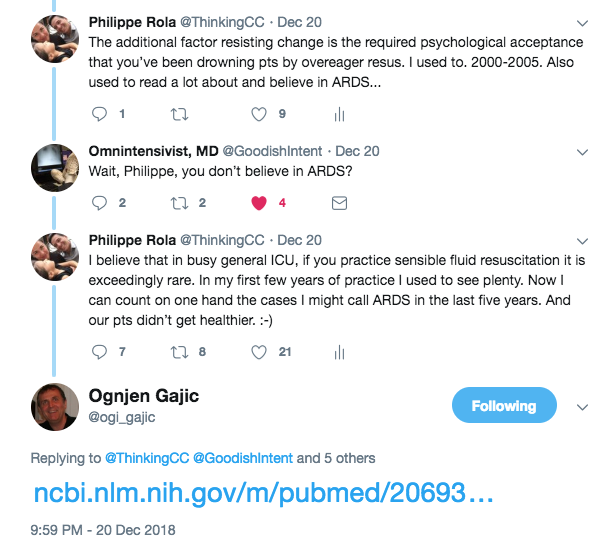 it’s not PoCUS that’s unhelpful, it’s how we’re implementing it – and i was most depressed when the authors of SHOC-ED appeared to stumble upon this only in the discussion of their paper – like you mentioned phil. imprecise protocols will result in equally imprecise data and the result will be nebulous trial outcomes. we should all be worried. Excellent points Jon. The PAC example is very relevant, as on more than one occasion, I’ve had the argument put to me by some colleagues that essentially how I’m applying POCUS is really no different than the information gleaned from the PAC, and “that’s been shown to not be helpful to outcomes” etc. So, therefore, why do I bother? Then again, I’ve seen a fair amount of phenylephrine being thrown at hypotensive cardiogenic shock patients after a 2 liter normal saline bolus didn’t do the trick. You are absolutely spot on when you point out that seeing the big picture, knowing the physiology, and being aware of the pitfalls of isolated data points is important to making the right decisions in patient care. Furthermore, I agree that when a clinical trial is done that doesn’t consider some of the nuances of all this, and “shows” that POCUS, or any other diagnostic modality for that matter, doesn’t contribute to better patient outcomes, it probably only serves to marginalize a potentially valuable diagnostic tool to an actually astute intelligent clinician. I’m not meaning by saying this to bash the good intentions of the SHOC-ED trial. To be fair, it’s really hard to design a trial that can take into account all the permutations that are involved in any individual patient presents with, having their own unique clinical situations, hemodynamic profiles, co-morbidities (both known and undiagnosed), etc. POCUS, PAC, transpulmonary thermodilution, ECG, chest x-ray, CT scans, labs, physical exam–these are all merely tools that guide patient care. Albeit some are way more powerful than others. I can image various amounts of uproar if some of these traditional tools were subjected to clinical trials to prove their utility. The argument, if proven “useless” in a study for the oldest and well accepted tools would always be, “put it in the clinical context, and its value speaks for itself.” For me, I’d happily like to make clinical descisions based on information based on an advanced POCUS exam or PAC, rather than interpreting hepatojugular reflux or a supine chest x-ray. Any diagnostic test requires that the clinician understand the limitations of that test, and understand that the whole clinical scenario must me taken into account. You’ve hit on that, I think, with your argument. This surely has implications when any technology or test is studied. PS These are just the kind of discussions that can change both the way you approach medicine and manage your patients, and these are the ones you find behind the scenes and in the hallways of H&R2018. Don’t miss H&R2019 if you take care of sick patients. It’s the kind of small, chill conference where the faculty will be happy to take a few minutes and discuss cases and answer all your questions (if they can) about acute care. b. you can definitely over-vasoconstrict with vasopressors such that a increasing MAP, at some point, can decrease tissue perfusion. Clinically, we have all seen this. c. no matter what you are doing theorizing about physiology and resuscitation, THE MOST IMPORTANT IS TO CONTROL THE SOURCE! a. Korbin sometimes sees decreasing renal resistive indices with resuscitation, particularly with the addition of vasopressin. b. the Pmsa – can this be used to assess our stressed volume and affect our fluid/vasopressor balance? c. trending the end-diastolic velocity as a surrogate for the Pcc and trending the effect of hemodynamic interventions on tissue perfusion. This stuff is fascinating, as we have essentially no bedside ability to track and measure perfusion at the tissue level. This is definitely a space to watch, and we’ll be digging further into this topic. patient 2: MAP increases to 65 mmHg and renal artery end-diastolic velocity remains unchanged. in the second situation, you have raised MAP, and probably not changed the closing pressure because the velocity at the end of diastole is the same. if you look at figure 2 in the paper linked to above, you can see that increasing *flow* to the arterioles will increase MAP relative to the Pcc [closing pressure]. the increase in flow raises the volume of the arteriole which [as a function of arteriolar compliance] increases the pressure without changing the downstream resistance. increasing flow could be from beta-effects on the heart, or increased venous return from NE effects on the venous side activating the starling mechanism. another mechanism to increase flow and therefore arteriolar pressure relative to the closing pressure is the provision of IV fluids. More to come, and next up will be Josh Farkas (@Pulmcrit), and I’m sure anyone following this discussion is looking forward to what he has to say. I know I am. And the paper – which is definitely worth a read, as it clearly supports individualizing therapy! cheers and please jump into the discussion! Great to listen guys, thanks, and very timely. I had just read Tremblay’s paper after coming across a very pulsatile PV in a relatively well elderly patient with bad TR. 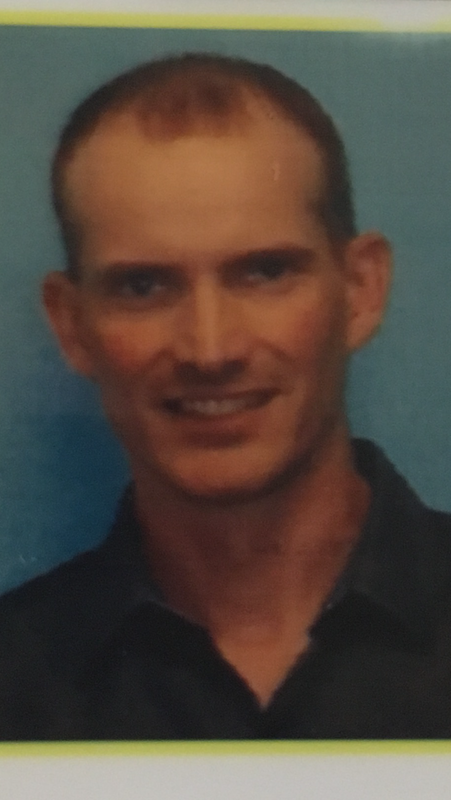 Two questions – which PV are more likely pulsatile in the first place….Tremblay mentions RVF/TR and very thin folk. What is your experience? Second Question – what did the GB wall/GB fossa look like after the initial very positive fluid balance? Does everyone blow out their GB wall with fluids, or only some? It is always important to isolate the patients’ whose physiology may change the clinical signs (in this case PV pulsatility) and make their interpretation different. I agree that massive TR, especially chronic, would likely account for pulsatility. I am not certain about the physiology for the very thin patient, but I have heard the same thing from Andre. So my personal take on a patient with severe TR and a pulsatile PV would be to look at the IVC variation, TR notwithstanding, if it is fixed and plethoric I would diurese – the organs don’t care what the cause of the congestion is. As for the GB, I have also seen edema, and then try to correlate with cholestatic enzyme changes that would be out of proportion to the hepatocellular enzymes if there is a primary GB process. This is certainly an imperfect science. In a critically ill septic patient, I have a low threshold to drain the GB if in doubt. Then Korbin gives his two cents, and then some! Great case, loved it. Thoughtful management, brilliant! I couldn’t help thinking as I listened, that it is so important to avoid over-resuscitation with fluids in the first place. We all know that the majority of crystalloids given will end up as interstitial edema, so any benefit from the increase in stroke volume is temporary at best (consider carefully what you gain and at what cost). Wet lungs=increased mortality, days on the vent, and ICU stays. Wet kidneys=AKI 2-3 days after initial resuscitation and potential RRT. Congested liver=gut edema and continuation of inflammatory cytokines/sepsis syndrome. 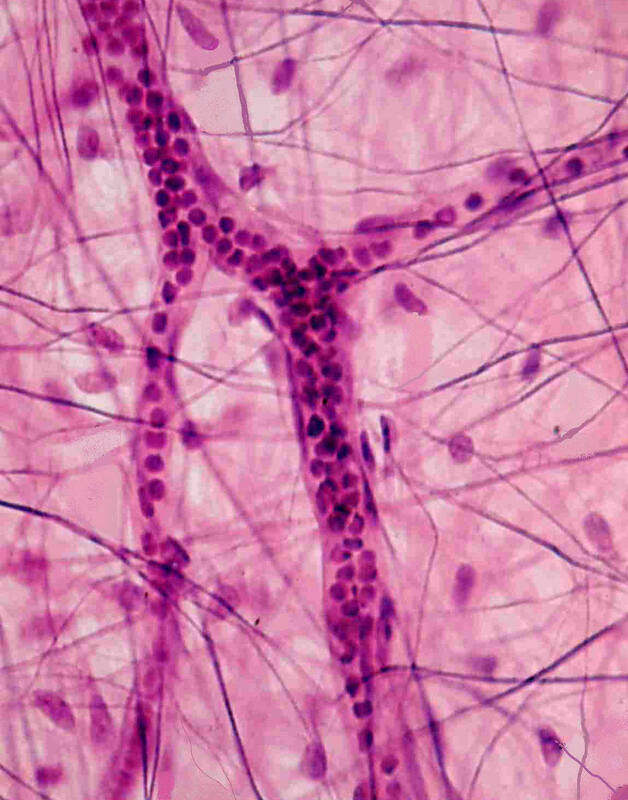 Too much fluids–>BNP levels rise, high BNP levels in the presence of LPS=glycocalyx shedding, and more interstitial edema everywhere. I think there is some decent evidence that an early fluid liberal approach combined with a late fluid restrictive approach can potentially benefit a patient in septic shock, but its clear that an overall positive fluid balance does harm. Perhaps, even the early fluid liberal strategy (in sepsis specifically) should be tempered by a careful consideration of what is really going on. Sepsis is an entity characterized by venous return being limited by a decrease in mean systemic pressure (MSP) due to an increase in venous capacitance, rather than a decrease in fluids that generates the stressed volume (MSP=fluid filling/venous capacitance). The body compensates with an adrenergic response that maintains (or attempts to maintain) MAP by an increase in a catecholamine driven augmentation in cardiac output/contractility. This adrenergic response likely has more to do with the increase in lactate production observed in sepsis, rather than actual tissue hypo-perfusion and anaerobic metabolism mechanism. Increases in CVP inhibit venous return and congest the kidneys and GI tract (the left atrial pressures are the equivalent problem for the lungs, combined with the fact that pulmonary vascular permeability is increased in sepsis as well). Given this, I think in distributive shock, we should fix the lack of MSP by an earlier vasopressor therapy approach, both to supplement and decrease the crystalloid load to the patient, which is un-natural and contrary to their deranged septic physiology. Also, could the type of crystalloid given be important? NS gives a considerable sodium load compared to LR, and this likely promotes/sustains fluid retention that is difficult to remove during de-resuscitation. The high chloride levels of NS will promote an increase afferent arteriolar vasoconstriction and thus decrease GFR, making it more difficult to diuresis the patient later on, and contribute to AKI beyond the iatrogenic interstitial kidney edema caused by the crystalloids we gave. Absolutely. NS is given by medical peeps only by cultural habit. Most do not know the pH (zero SID due to chloride) of a solution they give by the buckets. RL is the best option I have available. If you are involved in the early phase of resuscitation of a shocked patient, consider the downstream consequences of your fluid strategy that you give your patient that may give you a temporary comfort because they will look better in the short term. Dr. Maitland and the FEAST study corroborates exactly this. This is not to say that an aggressive and upfront resuscitation is not critical–it surely is. I’m saying resuscitate smarter, not wetter. Look for stop points for crystalloids–E/e’ ratios, consider PVPI, RV dilation/TAPSE, hepatic vein doppler, IVC dynamics, portal vein pulsatility, intra-renal venous Doppler patterns and renal resistive index. 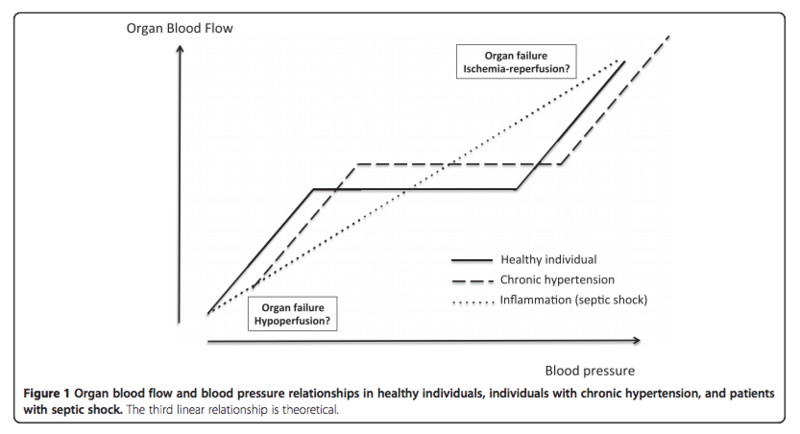 Fix the hemodynamics from an approach of the root of their problem, rather than pushing fluids for every hypotensive patient (whether you are taking care of them early, or late in the time frame of their illness). Fluids do have their place, but be careful and cognizant of their real down side. Look at your patient, think it through, and make the best actions for them. Ok, now I don’t even get to have a punchline. Thanks Korbin! So if this interests you, tune in to The Great Fluid Debate at H&R2018, and I look forward to meeting both Kylie and Korbin who will be in attendance and, I’m sure, putting us all on the spot! And yes, there will be a POCUS workshop on portal and hepatic vein POCUS. Only a few spots left! Register now! 2nd edition! Bedside Ultrasound – a primer for clinical integration: ebook now available on iTunes! Print soon to be on Amazon! Interested in gaining hands-on bedside ultrasound experience with real patients and clinical scenarios? Not just normal volunteers and sim-patients? The CCUS Institute offers tailor-made POCUS mini-fellowships for clinicians of all levels interested in taking their bedside ultrasound skills to another level. See http://wp.me/p1avUV-hr for more details! 50 Case Studies in Bedside Ultrasound available on Amazon! A collection of 50 clinical cases illustrating the use of POCUS and clinical rationale. DVD included. 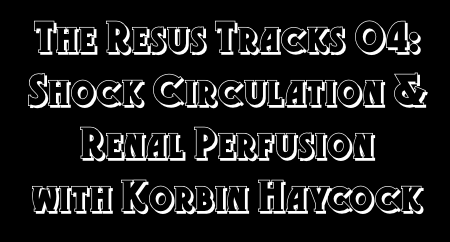 POCUS & Venous Congestion: a #FOAMed Collaborative Chapter. blending good evidence and physiology at the bedside!